“InfoPro was so helpful….” Infidelity: After the investigation…. 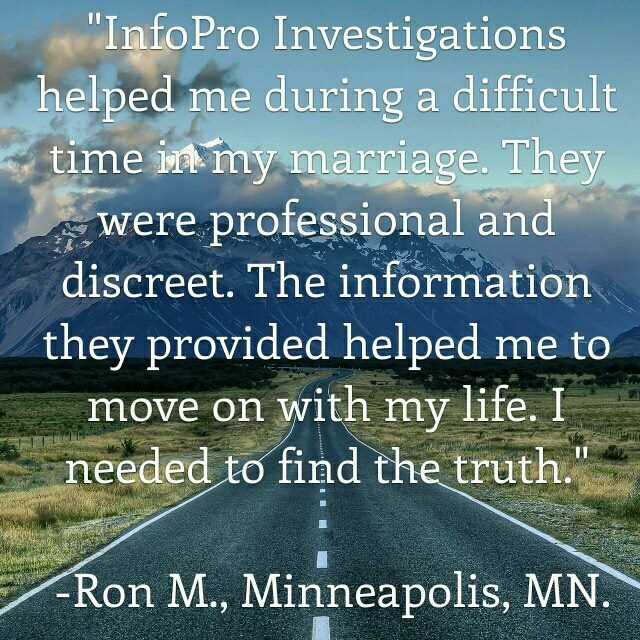 InfoPro Investigations is a recommended Minnesota Private Detective Agency you can trust. We have helped many of our clients with the investigations we have conducted. Some of those clients have offered to assist us in helping you. We can help!